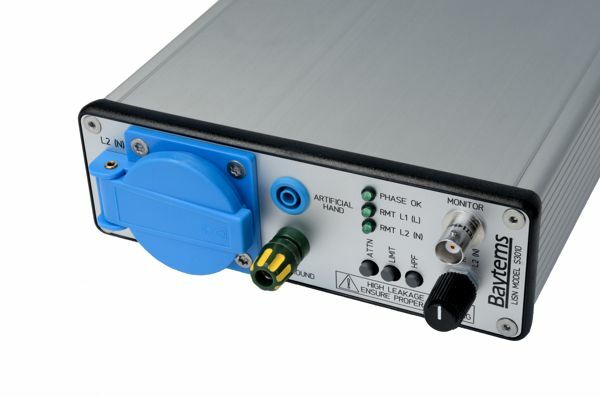 The Baytems Model S3010-B Line Impedance Stabilization Network (LISN) meets standards CISPR 16 and EN 55016-1-2. It contains an integrated attenuator, a limiter and features an artificial hand simulation. Conducted emission on AC power lines, which are typically generated by electrical equipment, can be verified with the help of a LISN together with a spectrum analyzer or EMC receiver. In principle, the Baytems Model S3010-B LISN is a precision filter network for high currents. The EUT is connected to power lines through a low pass filter. The LISN also presents a well-defined impedance to the signal.